I’m fairly certain that I’ve developed a crochet jewellery addiction. Bracelets and earrings being my downfall. So keep an eye out for plenty of those projects. 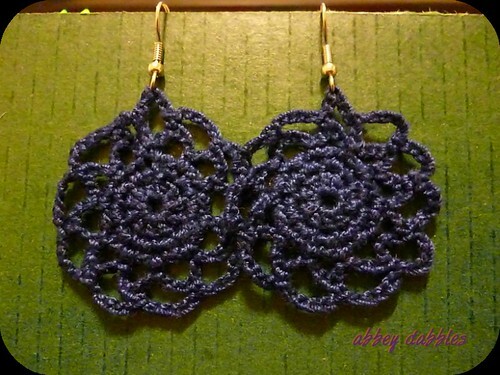 One of my favourite patterns so far is the Doily Earrings by Emily Forrest. And yes, they really were as simple to make as they look. I need a clutch purse. Seriously. This just walking around with my keys and my mobile in my hand whenever I go out just ain’t cutting it no more man. The shameful thing is that I have tons of bag patterns – to sew and to crochet – that I have been eager to try out, but just can’t seem to find the time or motivation to actually sit down and make one. But with Christmas outing obligations, I really needed to get this bag thing sorted out. I knew I wanted my clutch purse to be elegant and fancy enough to not look homemade. I also didn’t want it to be a large clutch, just big enough to hold the phone, the keys and some cash. 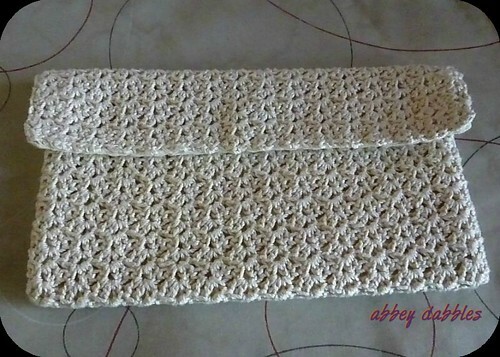 After a week of Pinterest and Ravelry deliberations, I finally selected Sarah’s Clutch, a crochet pattern by Sarah Cooper (sarahsweethearts.blogspot.com). Once a week, I try to check out the recently added crochet patterns on Ravelry, which I’ve come to realize can easily mean 300 or more new patterns to gawk at. Of course, when this sometime full hour activity is over, I’ve added at least 10 new patterns to my favourites and often times, pinned them as well. 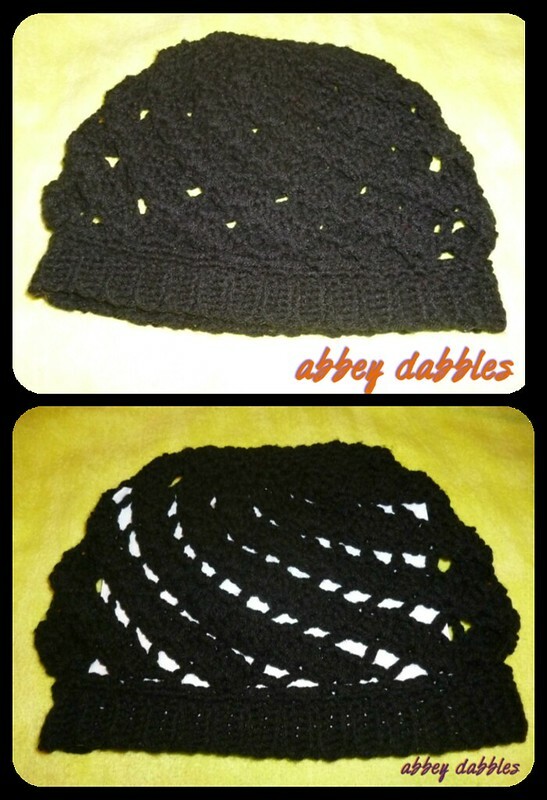 And then there are those awesome patterns that you see and just have to try immediately. 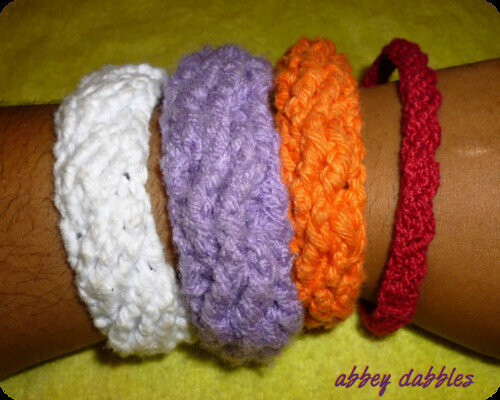 Enter the Crochet Cabled Bracelets by A La Sascha (sascha-lovetoknit.blogspot.com) with its 5 beautiful variations. It’s OCTOBER!!!! Think Pink and Birthday Plans! Yup, it’s October!!!!!! And I’m sure you have noticed that my usual purple blog is now pink. It’s going to stay pink for the entire month in support of breast cancer awareness. Here in Barbados, the Breast Screening Programme of the Barbados Cancer Society has plenty activities planned for Pink Ribbon Week, which will be from October 1-7 this year. The most known activity will of course be the sale of pink ribbons at various locations across the island. Any donation you can make will aid in the purchase of a much-needed ultrasound machine for the Mammography Centre located at the Society’s headquarters here in Barbados.